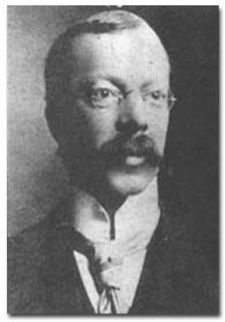 Hawley Harvey Crippen (1863-1910) was an American homeopath who was born to Andresee Skinner and Myron Augustus Crippen. He trained as a homeopath and joined a homeopathic pharmaceutical company. In 1910, he emigrated with his second wife, Cora Turner , to England where he was unable to practice as a Doctor as the authorities would not recognise his credentials. Turner was a music hall singer who openly had affairs. The couple struggled by on a meagre income, until one day, his wife disappeared. Crippen told friends that she had returned to America and had later died there. Subsequently, Crippen took a lover, Ethel Le Neve. However, a friend of Turner’s, Vulcana the Strongwoman, had doubts about the whereabouts of Crippen’s wife and alerted the police. The police searched Crippen’s house but found nothing. The trial uncovered many alarming facts, such as how the homeopath had severed the victim’s head and thrown it off a ship in the English Channel in a handbag. Various other body parts had been burned and dissolved in acid. Crippen was hanged in Pentonville Prison. Thanks to Sue Young Homeopathy for format ideas. And a note to Dana Ullman – Maybe you can add this to the second volume of The Homeopathic Revolution: Why Famous People and Cultural Heroes Choose Homeopathy. I realise you didn’t actually say “hey look, homeopath==murderer” but it does seem a little … straw-mannish for an excellent blog which rightly criticises homeopathy to make this little point. After all, conventional doctors can be represented by Harold Shipman, can’t they? I find subtelty and sarcasm often do not work in this field, so I really ought to point out that this post is a parody of certain sorts of argument in favour of homeopathy. I am sure you got that. Heh – neither do the remedies. Yeh, Crippen was set up by a ruthless gang of desperate allopaths who buried femail bits in his basement, faked receipts for large quantities of poison and forcibly pushed him onto a steamer to make it look like a getaway. Homeopaths are incapable of harm. We all know that. Jenny – to get a background picture you should have a quick glance at Sue Young’s website that is linked in the original article. 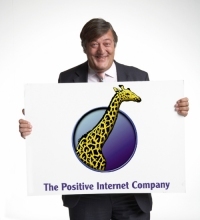 Sue’s website is mainly made up of pages listing people (mainly from the 19th century, mainly people in prominent positions and are seen as “good people”) who used homeopathy. Dana Ullman tries the same trick in his recent book. The line taken is: “hey, these famous* people used homeopathy, and they’re famous/good, so it must work”. This article is a riposte to this mountain of mud. He’s also taken the line that Hitler didn’t use homoeopathy. Well, it would not have taken a genius to predict it, but Sue the Homeopath has mirrored this article, but of course taken the line that Crippen was innocent. If only you’d been a little more ambitious you could probably have got her to rehabilitate Hitler. This isn’t mentioned in Dana “Buy my book” Dullmans book. So it must be true. Actually, the wireless was not used, at least not initially, to “alert the steamer.” What happened was that Captain Kendall used the wireless to alert the authorities on land of his suspicions after reading publicity about the fugitives. watch the telly this week, there is a documentary saying that the remains in the cellar are male. And Crippen was set up by the old bill. And it was wholly speculative. Why do you assume that Sue Young’s and Dana’s articles are attempts to validate homeopathy? Surely it is of historical interest if some famous person used homeopathy or criticized it, quite apart from questions of its validity. You’re right, it’s really unlikely that people who make money off of homeopathy have an interest in validating it. And I’m sure the historical interest in “famous people who used homeopathy” is only rivalled by the historical interest in famous people who believed in fairies and those who believed in unicorns.